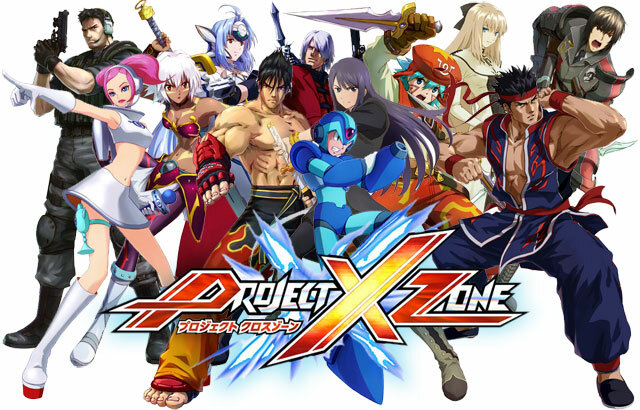 There’s been a lot of hype surrounding Project X Zone for the 3DS that I never bought into. I thought it was just going to be another fighter akin to Street Fighter full of characters I didn’t know. Sure, Monolith Soft had helped work on it, but I’ve never been a fan of fighters, so I just couldn’t get myself excited for it. I certainly wasn’t planning to buy it. Then, I tried the demo. First of all, I was completely wrong on what the game was. 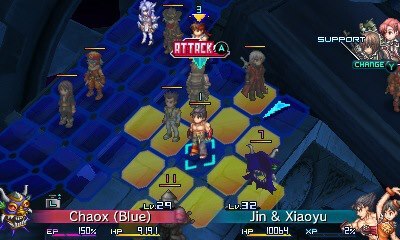 Yes, there is a slight fighting element, but at its core, Project X Zone is a tactical game with some RPG elements. Both your allied characters and your foes are placed on a square grid, and you can move your allies around the grid to beat up the opposing characters. This will sound familiar to players of Fire Emblem, but this is where the similarities end. Project X Zone has a totally different execution to Intelligent Systems’ series. The fighting part of the game comes into play once you attack a foe. You can pull off a number of combinations by pressing the A button, either on its own or while holding down a direction on the D-pad. Using certain attacks will fill up your XP gauge; the attacks required to fill it will be displayed in the bottom-right corner of the battle screen, directly above the gauge itself. Pulling off all of these combinations will give you an attack boost. I’m assuming it’s only temporary, though I’m not certain. The XP gauge caps at 150 XP. All characters travel around in pairs, and some pairs have a third character wandering the map with them. In battle, this third character can be made to attack using the L button, for a total of three characters in battle. The R button can be used to bring a nearby pair of allies into the fray; combine this with the L button, and you can have five characters beating the living daylights out of your unfortunate foe. Outside of battle, the shoulder buttons can be used to rotate through enemies within range of your attacks. If you have multiple allies within range and able to support you, you can swap between them using the Y button. Bringing allies into battle can be pretty useful. Obviously, they’re going to be dealing more damage for you. But on top of that, bringing in an allied pair will place a great green X on your opponent. This X will stay there for the entire time the allied pair is attacking, and allows you to do bonus damage while it’s present. See the green X to the left of her head with “CROSS” stamped across it? So long as that is active, you will do extra damage. Defeating enemies will net you experience points, which will allow your character to level up and gain skills. These skills can’t be used in battle, but can be used on the map before you attack to grant buffs, restore health—the standard fare. They can be used as much as you like, provided you have the required XP. 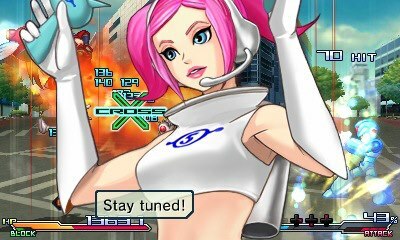 Turns are counted in Project X Zone—reach 99 turns in a battle, and you’ll fail the mission (though I don’t think that will be too great a concern). The Overall Turn ends after everyone has moved. The order in which units move depends on their speed stat. Some other abilities and such may alter the order, but this is what determines it, for the most part. On the map, numbers hover above friend and foe alike, denoting the turn order so you know when everyone will move. There is also a Crosspedia containing all sorts of information about your allies, foes and other things. Unfortunately, in the demo, the entire thing was blank. As I said earlier, I don’t even know any of the characters in the game. Yet I still managed to enjoy myself. I have no idea what it will be like for those of you who actually know and really like these characters. It seems like it’s going to be a pretty solid game, and I will never question Monolith Soft’s judgement again. Project X Zone‘s demo managed to turn me from someone with zero interest in the game to someone who now really wants to buy it. 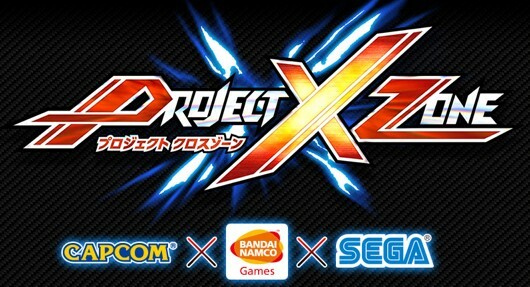 The next European Project X Zone demo will be out June 27th, and the full game will release there July 5th. North Americans will be getting the game a little earlier, on June 25th. Nothing heard on a North American demo yet; hopefully, word of one will reach us soon.